Eclipse coding is a web-based solution that integrates with leading EDC and Safety applications for the conduct of medical and drug coding in clinical trials and pharmacovigilance. Eclipse Coding workflow streamlines the coding process and improves clinical trial coding efficiencies. Manage and code with multiple dictionaries, versions and formats. Code multiple studies simultaneously. Code centrally with multiple products, even different EDC systems at the same time. The B3-format is a new format of the WhoDrug dictionary intended to help ensure full CDISC SDTM compliance without the need for post processing of coded data. All salt versions of drugs in combinations will be connected to an unsalted, generic combination on the preferred base level. As a result field lengths will be extended. By March of 2017 the B3-format files will be available for download from UMC, and B2-format files will simultaneously be available only until December 2018. The Eclipse coding system is certified by the UMC for the B3-format, and is a good alternative or replacement for coding systems such as dsNavigator. Eclipse clinical trial coding application addresses numerous coding challenges facing Sponsors and CROs. The coding process can be daunting, time-consuming and ultimately a costly process. With Eclipse Coding, Sponsors and CROs have the benefit of reviewing, resolving and approving coded terms in a highly efficient way. Streamlining this process can reduce errors. By utilizing our advanced features such as auto-coding, customizable synonym and stop word lists, propagate functionality and configurable workflow, companies are able to drive down expenses. Since most sponsors and CROs have a team of professionals responsible for the coding activities of studies, a centralized collection and management approach is crucial. Eclipse Coding application acts as an independent collection and access point for all verbatims, and further provides the workflow and management interface the coding team will use to assign, code and approve coded items. Adding to the complexity of the coding process is the need to manage multiple dictionaries and dictionary versions. 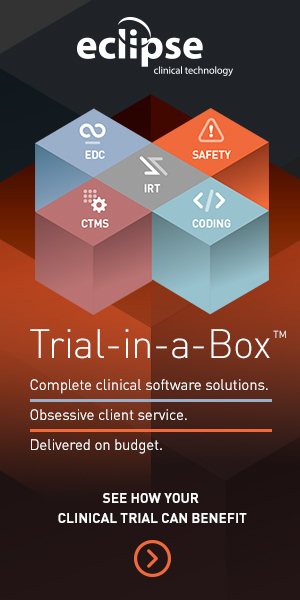 Eclipse clinical trial coding supports multilevel and multiaxial dictionaries. It also helps a user understand key differences between any version of leading dictionaries; analyze the impact of those changes; and reconcile the differences in coded terms within the study. Provides ready-to-run reports for coding classification, consistency, coded items and user reports. As clinical research continues to demand innovative approaches to support and increasingly challenging market, we help sponsors meet those challenges with highly rated data management services and technology to ensure clinical trials are a success. Our obsession with client service and the use of innovative technology makes us well suited to deliver the right solutions for your unique clinical trial technology development projects. Our webinar, Life after dsNavigator, Moving to a New Coding System 2016, may be viewed online here. There are many factors in choosing a new Coding system and we talked about quite a few of them here. If you would like to explore your Coding software options further please schedule a consultation with one of our Coding experts.